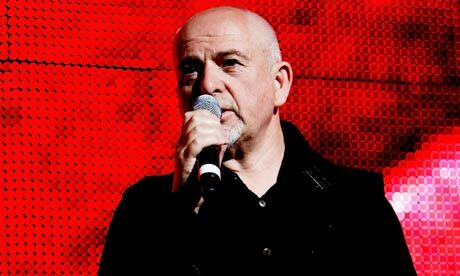 In February, Peter Gabriel - one of my favorites as a musician and a songwriter - released a new album, Scratch My Back. That I hate. Passionately. On the album's Amazon.com page, Gabriel fans debate whether the album is "sublime" or "the worst thing ever released on an expensive coaster." Gabriel is unfazed. He says the album does exactly what he wanted it to do. He channels the sparse orchestral style of Arvo Part (no drums, no guitar) and breaks each song down to life and death as best he knows how. The album's tracks are now being released, one by one, at every full moon. So I find myself going back to listen again... It's always almost a full moon, after all. DJ Jason Darrow of www.robotsinheat.com put together this playlist for Sunset magazine (June 2010) to get the vibe flowing at a summer solstice party. What would you add? The Tinbot is an impact-resistant iPod case constructed from tin and neoprene that features original designs from creative contemporaries. The top has access to the headset port, and the bottom has access to the charging port, so you never have to take your iPod out of your case.